Well, if you die before she does, then she’ll need a guardian,” an attorney recently told a friend of mine. He was referring to my friend’s sister who relies largely on him to handle her financial, healthcare, and other concerns. The attorney’s remark was like the snap of a wet towel across his thigh. My friend realized: there is no one else he knows who lives nearby who can or would handle her needs. However, a guardianship may not necessarily be the only solution to his situation. 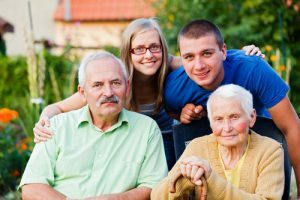 Normally, a guardianship can remove all or most of an adult’s decision-making authority and assign it to a fiduciary, or guardian. According to studies cited by the Quality Trust for Individuals with Disabilities, the number of adults under guardianship has tripled since 1995; 90% of public guardianship cases have resulted in a guardian being empowered to make ALL DECISIONS for the person. An alternative to guardianship is Supported Decision Making (SDM). This approach recognizes a person’s autonomy and the capacity to take part in the decision-making process in a way that does not remove all of his or her rights. SDM is a means by which a person with a disability uses friends, family members, professionals, and other trusted people in making his or her own decisions. These “supporters” help the person understand issues and choices, ask questions, receive explanations in understandable language, and communicate decisions to others. In thinking about SDM, it is important to recognize that capacity is not black and white—it is a continuum. A person may be able to make some decisions, but not others. For example, consenting to a flu shot requires a different level of decision-making skill than consenting to open-heart surgery. Capacity also may change over time based on the person’s experience or the situation. A lack of opportunity to make decisions can prevent people from developing or maintaining capacity. In the District of Columbia, where I reside, the DC Law calls for Courts to encourage maximum self-reliance and independence of people found to be incapacitated and to appoint the least restrictive type of guardianship. That’s all well and good. But studies show that guardianship—however liberal—can impose drastic restraints on an individual’s liberty and, according to one source, result in an individual having fewer rights than a convicted felon. Indeed, if an elder lacks sufficient capacity to manage the requirements essential for their financial, physical, and social well-being, even with support, they probably need someone else to make decisions for them, either through a power of attorney or a guardianship. But where enough capacity exists, SDM makes sense. And what better way to achieve this goal than through mediation, where all the parties can agree on an SDM outcome, develop an approach designed to meet an elder’s needs, and plan how to carry it out. I wish to thank the Quality Trust for Individuals with Disabilities for much of the material cited in this blog. Three U.S. case rulings undergird this innovative and humane treatment of such individuals: In re Perry, 727A.2d 539 (Pa. 1999); In re Dameris L., 956 N.Y.S. 2d 848 (N.Y. Sur. Ct. 2012): and Ross V. Hatch, No. CWF 120000426P-03 (Va. Cir. Ct. 2013). © Sig Cohen and Beyond Dispute Associates, 2015. Unauthorized use and/or duplication of this material without express and written permission from this blog’s author and/or owner is strictly prohibited. Excerpts and links may be used, provided that full and clear credit is given to Sig Cohen and Beyond Dispute Associates with appropriate and specific direction to the original content. What a great alternative to a full guardianship! Thanks for writing about this and educating this estate planning attorney to another option for my clients. A wonderful thing…dignity, respect along the contimuum. Thank you for sharing this.